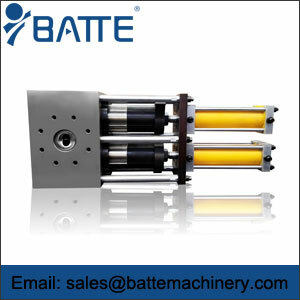 Slide Plate Screen Changer EH produced by Batte represent the most technically advanced design of slide plate type screen changers. The features, options, polymer rheology testing, and other details are as follows. 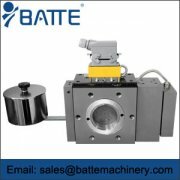 From the worldwide in filtration equipment, Batte offers the Slide Plate Screen Changer EH. Contamination of the melt steam by metal, wood, paper or internally generated black specks yields products that are unacceptable in appearance and/or performance. 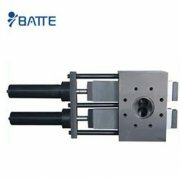 Batte slide plate screen changers represent the most technically advanced design of slide plate type screen changers. The EH line is suitable for processing a wide variety of thermoplastics on applications ranging from sophisticated multiple layer thin film extrusion to the heavy demands of recycling. 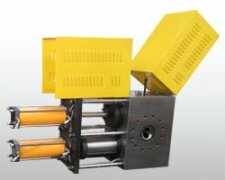 Put an Batte gear pump after the screen changer and further increase the productivity of the extrusion line – all from one company. Batte has the ability to provide polymer viscosity and melt index analysis. 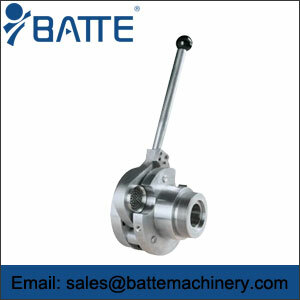 Batte rebuilds, repairs, services and supplies parts for screen changers, melt pumps, screws, barrels, heat transfer rolls, pelletizers and cleaning ovens.